After a federal jury “convicted Yennier Capote Gonzalez of five counts of health care fraud in violation of 18 U.S. Code § 1347, one count of money laundering in violation of 18 U.S. Code § 1957, and two counts of aggravated identity theft in violation of 18 U.S. Code § 1028A” and he was sentenced him to “67 months" in prison, he appealed his conviction to the U.S. Court of Appeals for the 6th Circuit. U.S. v. Gonzalez, 2014 WL 1257940 (2014). As the Court of Appeals noted at the beginning of its opinion, “Gonzalez appeal[ed] his convictions and sentence on many grounds, most of which are meritless.” U.S. v. Gonzalez, supra. This post is primarily concerned with one of his arguments on appeal, but also notes the outcome of another, which proved more successful. 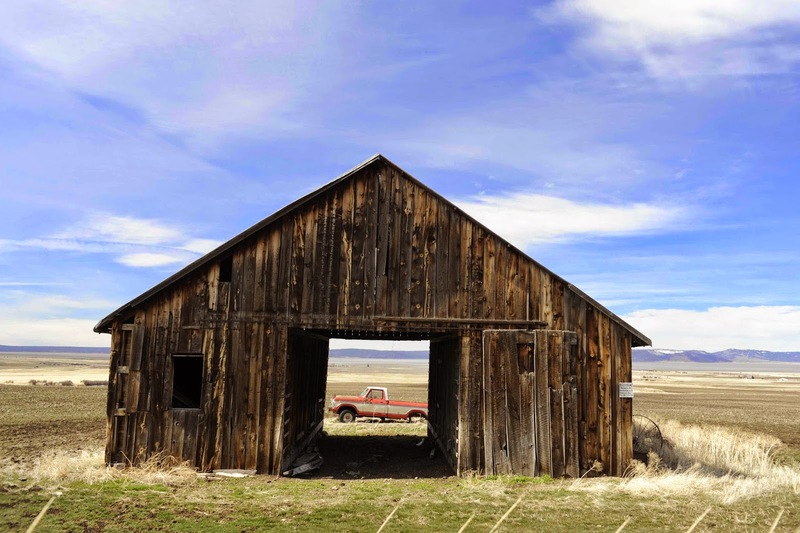 He bought a tract of land at. . . . 179 Buck Branch Lane, which included a run-down barn. Gonzalez later defaulted on the [mortgage for that property, after which] the lender foreclosed and sold [it] at auction in June 2010. . . .
That same month . . . Gonzalez submitted a Tennessee corporate charter for Gainesboro Ultimate Med Service Corporation, which listed Gainesboro Med's mailing address as 179 Buck Branch Lane. The charter also listed the same address for Gonzalez, and listed him as Gainesboro Med's president. On July 1, Gainesboro Med applied for a national provider identification (NPI) number, which are unique identifiers issued by the Centers for Medicare and Medicaid Services to healthcare providers such as doctors and medical clinics. This application listed Gainesboro Med's address at 179 Buck Branch Lane and its authorized official as Gonzalez. Weeks later, Gonzalez obtained a business license from Jackson County, Tennessee, to operate Gainesboro Med as an `online medical billing’ company. Once again, Gainesboro Med's listed address was 179 Buck Branch Lane. On July 13, Manuel Trujillo sent a text message to cellphone number (305) 420-8152. The text contained only the name `Tidence Prince, M.D.’ and an NPI number. Two days later, Trujillo sent a series of text messages to the same phone number that contained the names Orlando Martinez, Jorge Valdez, Monica Rodriguez, and Rosemary Mir. On July 16, Gonzalez opened a business-checking account for Gainesboro Med with Regions Bank in Cookeville, Tennessee. He listed Gainesboro Med's address as 179 Buck Branch Lane and made himself the account's only authorized signatory. Gonzalez also listed his phone number as (305) 420–8152 -- the number for the cellphone that had received the text messages on July 13 and 15. Over the next few weeks, Gainesboro Med submitted several online claims to two . . . insurance companies, Wellpoint and Cigna. Gainesboro Med sought reimbursement for injections that were purportedly administered to the persons listed in the July 15 text messages: Orlando Martinez, Jorge Valdez, Monica Rodriguez, and Rosemary Mir. Each claim included Dr. Prince's NPI number and listed him as the physician who administered the injections. In fact, however, most of the patients were fictitious and none of the injections were performed. On August 12, Cigna mailed to 179 Buck Branch Lane a $38,116 check payable to Gainesboro Med for medical services purportedly provided to Rosemary Mir and Monica Rodriguez. Five days later, Gainesboro Med deposited that check into its checking account at Regions Bank in Cookesville, Tennessee. The check constituted essentially all of the funds in Gainesboro Med's account. Two days later, Gonzalez (the account's only signatory) wrote a check to Manuel Trujillo for $2000 and another check in the same amount to himself, which he deposited in his personal account. On August 23, Gonzalez visited a Regions Bank in Miami and obtained a $14,400 cashier's check, payable to his landlord, drawn from the Cigna funds in the Gainesboro account. He also tried to wire Trujillo the remaining $17,000 from the Regions account, but the bank refused because the funds had been deposited too recently. Meanwhile, Cigna reported Gainesboro Med as a suspicious provider to Special Agent Robert Turner at the Department of Health and Human Services. Turner investigated, first by visiting 179 Buck Branch Lane. There he found only a barn and a mailbox, which contained mail addressed to Gainesboro Med. Turner also learned that the patients whom Gainesboro Med supposedly had treated resided at 140 Lonesome Point Lane. He drove there and found only a mailbox and the unfinished house, which consisted of a foundation, walls, and a cover for a roof. The mailbox contained mail from Wellpoint and Cigna. On August 24, Turner called Carol Sawaya, a manager at Region Bank's Miami office, and explained that he was investigating Gainesboro Med and Gonzalez. With Sawaya's assistance, Turner then coordinated a plan to arrest Gonzalez at the bank. The next day, a Region's employee called Gonzalez and told him his $17,000 wire transfer had been approved and that he needed to come into the bank. Gonzalez did so and gave Sawaya his driver's license and bank card. Then Turner arrested him. U.S. v. Gonzalez, supra. The press release you can find here gives a few more details about the prosecution. 4th Amendment right to be free from unreasonable searches when it obtained the July 13 and 15 text messages from the phone company without a warrant. The phone number that received the messages was the same one that Gonzalez had listed as his contact number when he opened a Regions Bank account for Gainesboro Med. In fact, . . . that phone number was assigned to an account registered to someone else. The [U.S. District Court Judge who presided over his trial] denied Gonzalez's motion to exclude on the grounds that he lacked standing to challenge the admission of text messages retrieved from a phone account that was registered to someone else. [t]o establish standing for the purposes of the 4th Amendment, Gonzalez must show, first, that `he had an actual, subjective expectation of privacy’ in the text messages; and second, that his expectation was `objectively reasonable.’ U.S. v. Smith, 263 F.3d 571 (U.S. Court of Appeals for the 6th Circuit 2001). Reasonable expectations of privacy arise from `a source outside of the 4th Amendment, either by reference to concepts of real or personal property law or to understandings that are recognized and permitted by society.’ U.S. v. Jones, 132 S.Ct. 945 (2012). . . .
Gonzalez has made virtually no effort to carry his burden here. He offers merely the conclusory assertion that `[c]learly [he] had a legitimate expectation of privacy in his telephone and telephone records.’ But the phone account in fact was not `his,’ and he made no effort to show that he exercised any control over the account (which belonged to someone else) from which the text messages were obtained. Thus, whatever the particular standard might be for establishing standing for purposes of contesting the government's retrieval of records from a cellphone account, Gonzalez has not met it here. that he `knew that the means of identification at issue belonged to another person.’ Flores–Figueroa v. U.S., 556 U.S. 646(2009). Here, the means of identification at issue was Dr. Prince's NPI number. Thus, for Gonzalez's conviction to stand, the government must have proved that Gonzalez knew that Prince was a real person. Thus, in essence, the government argues that Gonzalez's own experience in obtaining an NPI number for Gainesboro Med shows Gonzalez knew that Dr. Prince could have obtained an NPI number only if he was a real person. But that inference is hardly compelling. True, the government presented evidence that the IRS `validates’ NPI numbers for `organizations’ every six months. But the government did not present any proofs that Gonzalez was aware of those procedures. More to the point, the government did not present evidence that the same or similar procedures existed for validating NPI numbers assigned to doctors -- much less that Gonzalez was aware of those procedures. So far as Gonzalez knew -- and indeed so far as the record shows here -- the possibility remains that a fraudster could obtain an NPI number, at least for a while, for a doctor who is fictitious. considerably weaker than the proofs found sufficient in cases involving aggravated identity theft. In one case, the defendant possessed the victim's birth certificate and credit reports, in addition to the Social Security number that was the means of identification used there. U.S. v. Valerio, 676 F.3d 237 (U.S. Court of Appeals for the 1st Circuit 2012). In another case, the defendants possessed credit-card numbers they were told `had to be used within 24 hours, which the jury could view as notice that the account numbers belonged to the persons listed and might be reported stolen after 24 hours.’ U.S. v. Shifu Lin, 508 F. App'x 398 (U.S. Court of Appeals for the 6th Circuit 2012). And other courts have held that `a defendant's repeated and successful testing of the authenticity of a victim's identifying information prior to the crime at issue is powerful circumstantial evidence that the defendant knew the identifying information belonged to a real person as opposed to a fictitious one.’ U.S. v. Doe, 661 F.3d 550 (U.S. Court of Appeals for the 11th Circuit 2011). We have nothing of the sort here. What we have, by the government's own account, is merely that Gonzalez incorporated Gainesboro Med (itself a shell corporation) in order to obtain an NPI number for it. Even viewing the evidence in the light most favorable to the government, that fact would not allow a jury to infer, beyond a reasonable doubt, that Gonzalez knew Prince was a real person. We therefore reverse Gonzalez's conviction for aggravated identity theft. Since it reversed that conviction, the Court of Appeals remanded the case for resentencing. U.S. v. Gonzalez, supra.